Congratulations Masarrat and to your entire team for completing this monumental task of creating the novel website totally committed to Sir Syed, the architect of AMU. I would also like to congratulate the body of Federation of Aligarh Alumni Associations (FAAA) who provided you the opportunity to delve into this project of digitization. Now Federation has an additional jewel to its crown. 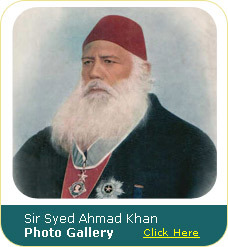 It is indeed a matter of pride to the entire AMU alumni that finally a void has been filled by your effort for this kind of valuable website where without struggling much, one can access effortlessly to the links directing to the literature associated with Sir Syed whether written by him or about him. Some of the historical documents for which Aligarians always long to see, now can see them with one click on their computer monitors and witness the history with their own eyes. The brevity and the enormity of this one of a kind digitized Sir Syed’s related literature could only be realized by accessing to the website which was just a dream before. Finally, all your monetary and physical efforts have paid off and an hercularian dream of yours has transformed into a reality. Congratulations once again and enjoy the feel and the sense of a gigantic accomplishment. I also feel a sense of personal achievement that you acted upon my suggestion of formally associating with the FAAA solely for the purpose of doing such constructive projects. However, we both of us never knew at the time what and how much we would be able to accomplish. 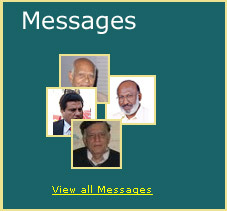 I know you have always credited me for bringing you to the federation and ultimately for the success of SirSyedToday.org, but together, we all are grateful to Allah SWT that we could play a role in this one of a kind and the first largest undertaking of digitization project in India in general, and in AMU in particular.